2018/12/06 19:51:08 DEBUG+ Driver voltage=24.3, current sense=0 (~ 0 mA), reference voltage=3.29, status(40)=+powered. 2018/12/06 19:51:18 DEBUG+ Driver voltage=24.4, current sense=0 (~ 0 mA), reference voltage=3.29, status(40)=+powered. 2018/12/06 19:51:28 DEBUG+ Driver voltage=24.4, current sense=0 (~ 0 mA), reference voltage=3.30, status(40)=+powered. 2018/12/06 19:51:38 DEBUG+ Driver voltage=24.6, current sense=8 (~ 12 mA), reference voltage=3.30, status(40)=+powered. 2018/12/06 19:51:48 DEBUG+ Driver voltage=24.3, current sense=5 (~ 7 mA), reference voltage=3.29, status(40)=+powered. 2018/12/06 19:51:58 DEBUG+ Driver voltage=24.4, current sense=2 (~ 3 mA), reference voltage=3.29, status(40)=+powered. 2018/12/06 19:52:08 DEBUG+ Driver voltage=24.3, current sense=7 (~ 10 mA), reference voltage=3.30, status(40)=+powered. 2018/12/06 19:52:18 DEBUG+ Driver voltage=24.4, current sense=7 (~ 10 mA), reference voltage=3.29, status(40)=+powered. The power led of the zero board comes on and I see regular flashing of the net led on the zero board. However no address is handed out. I tried with a first node and keep it connected for a few minutes without result. Then the power led went out and the reported bus power went to 150mA. Afterwards no results anymore. Additionally the capacitor on the left side becomes really warm. A second and a third board powered up, but no address. No failure however. I checked the wiring 5 times. Thanks for the post. This gives me the opportunity to provide some information that might be helpful to many others. Here's a few tips that might help diagnose the issue. If the red led in on, power is correctly applied. If the green led blinks regularly, the node is attempting but failing to connect to the network. 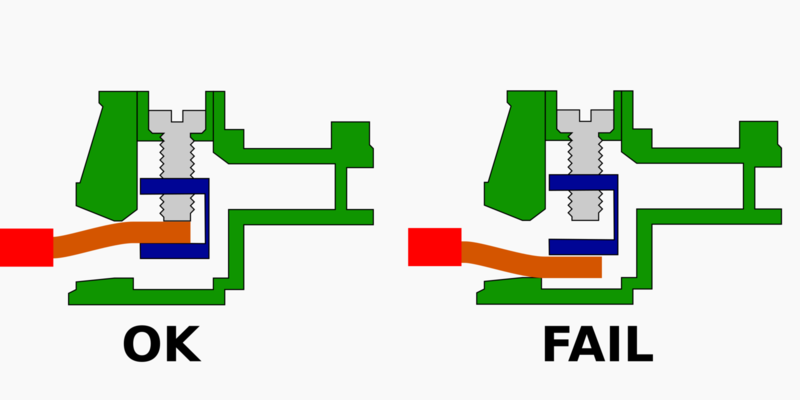 If the green led is continuously on, the node is correctly connected to the network. 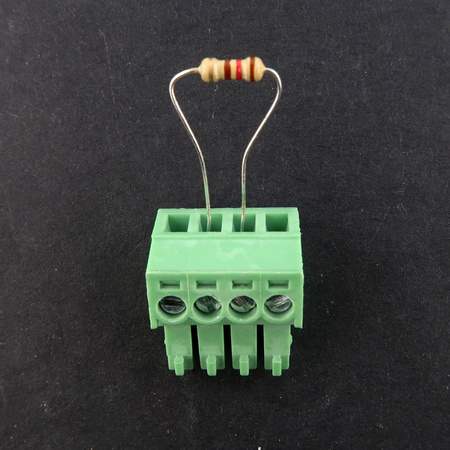 A blinking green led is almost always related to a cabling issue. If the green led is on, the PiMaster is correctly powered on. If the orange led is on, the NoCAN network power rail is activated. 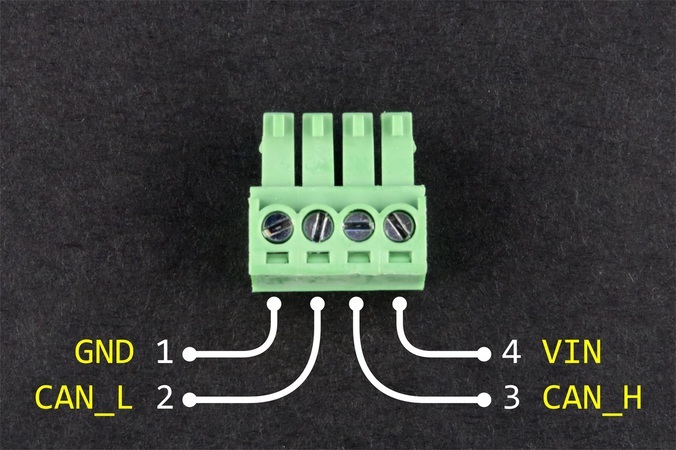 You still need to make sure that network power is provided to the PiMaster through the DC jack. If the red led is on, this signifies that the board detected an over-current event, such as a short-circuit. The value of "Driver voltage" (e.g. 24.4) shows the voltage level applied to the network (a value less than 5V here is suspicious). The value of "current sense" gives a (very rough) estimate of the current consumption of the network. A single digit value is consistent with a single node connected to the network. The default application provided with the CANZERO board activates the Serial USART on pins D13 and D14. Connecting these pins to ground should be avoided until a new sketch is uploaded to the node. With a continuity tester on a multimeter it's easy to check that all connections are good. This type of misconnection might even pass a continuity test but then fail once the board is plugged. Finally, a multimeter can be used on a CANZERO to check the voltage levels of the connector. CAN_H is about 2.5V or a little less. CAN_L is about 2.5V or a little less. If CAN_L or CAN_H don't match these levels, the cable is likely faulty. Despite our careful testing, it might still be a hardware issue. If it all fails, please send an email to support(at)omzlo.com and we will see how we can sort you out.